YES! I got an email and saw a commercial tonight for the 1,000,000 Chili's FREE Flatbread Giveaway! You don't want to miss this delicious treat! Signup for their email club to get yours before they run out! 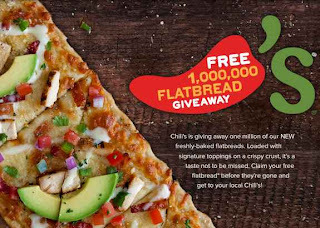 Have other delicious freebies? Share in the comments! That's great!! Thanks for letting us know!